We’ve hit the end of our week here in Siem Reap. 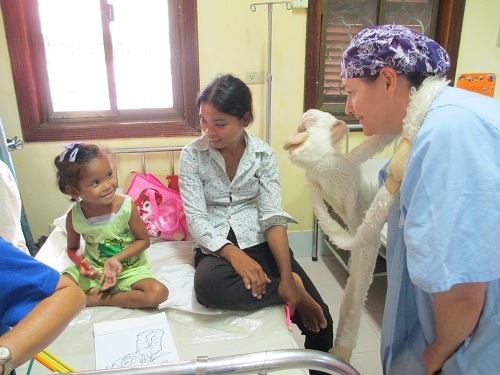 Most of our patients have now been transferred to the surgical ward. This means Bec is very busy! There are balls flying around the room and the girls are dressed up with jewellery and hairclips from their toy bags. 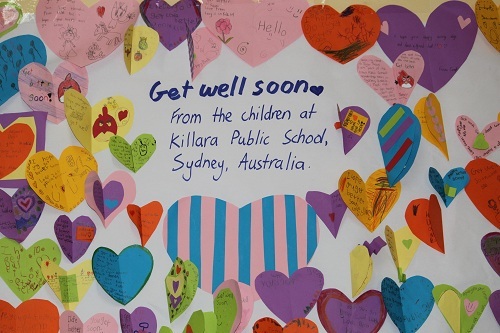 The walls are covered with bright posters made by well-wishers from Killara Public School and the Aussie volunteers couldn’t be having more fun. It’s a great time in any OOH trip, so many smiles and happy faces. 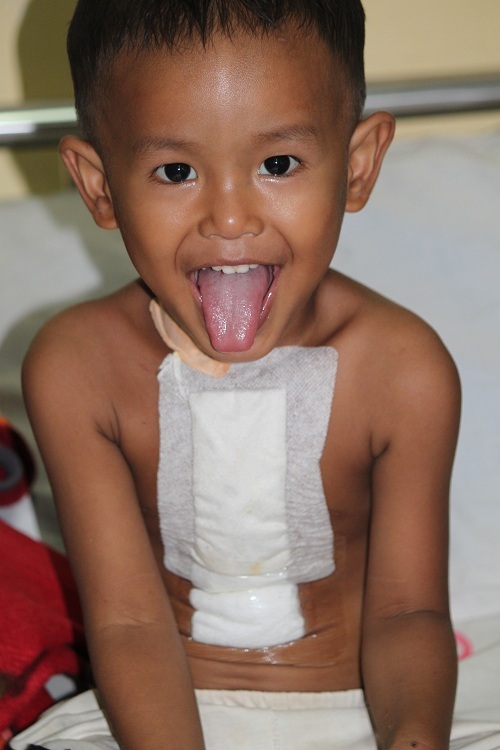 After 5 days of surgery and 15 operations, all the kids are doing well. Here are some of our stories of the week and friends we met. 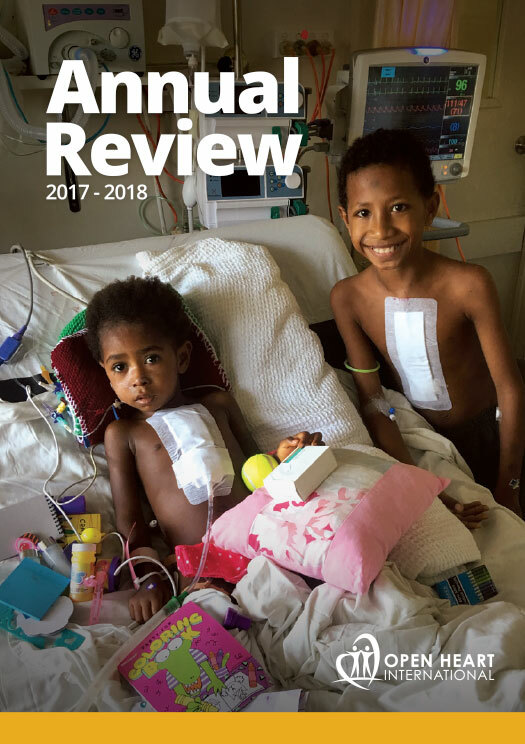 Left: The first successful complete correction of a TOF (a complex birth condition that actually involves four separate defects!) 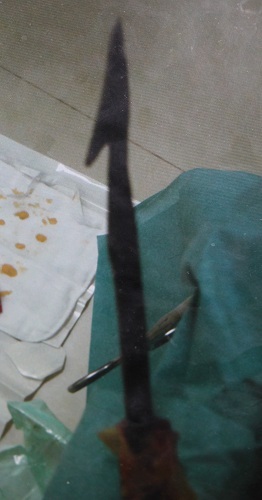 in the hospital, possibly the country. The divine Devin and his “smile” (Left) and Chea (Right) with a photo of his sponsors in his pocket. They were discharged from hospital over the weekend. 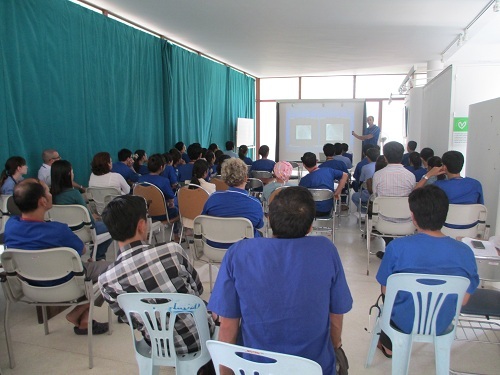 The Cambodian team are very eager to learn everyday there are lectures and tutorials along with the practical teaching at the bedside. 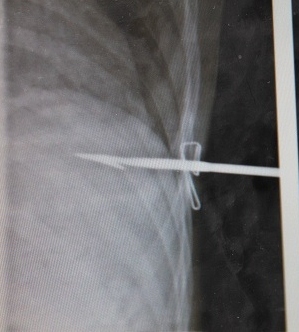 A great testament to the Cambodian learning and talent – 2 months ago a boy presented with an arrow through his chest wall and into his heart. 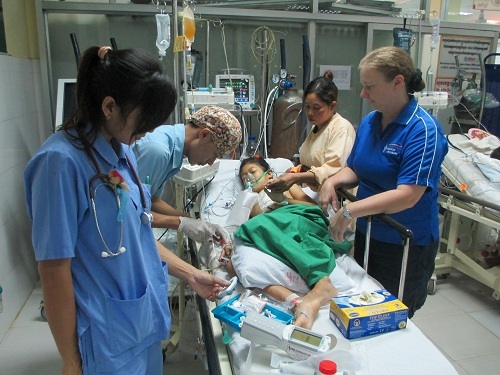 The Cambodian team took him to theatre and successfully removed the arrow and the boy survived. 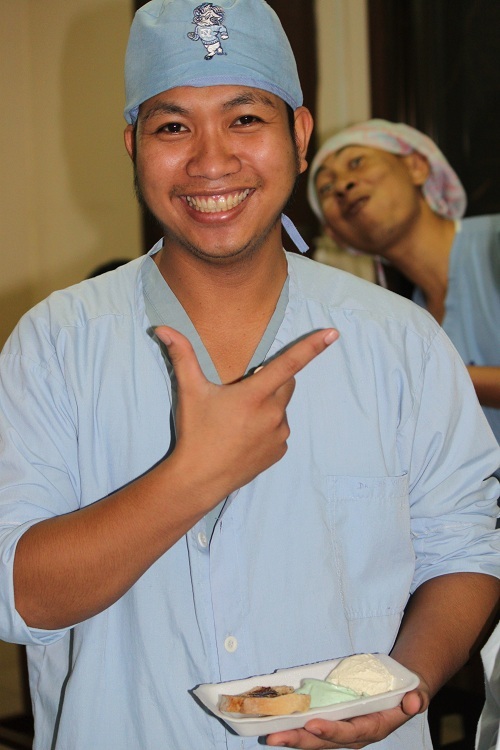 This was a particularly difficult predicament for the Cambodian team to be in – congratulations on your success and he was one lucky boy to have such a talented team. Below: One of the many posters made by the children of Killara Public School to wish the Cambodian children Good Luck. All the Cambodian staff had the opportunity to try Vegemite. The accompanying icecream disappeared quickly – I cant say the same for the vegemite! The team have now left Cambodia, some have gone home to Australia, while a few of us (myself included) are still in South-East Asia for a few days of R&R. 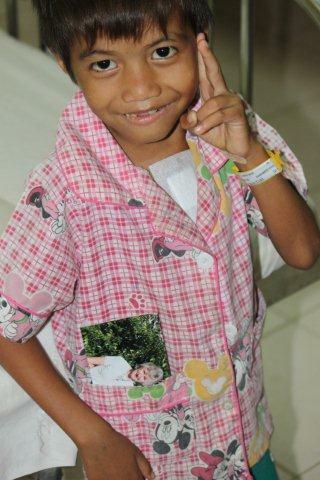 I will post a few more of my thought as I reflect over an amazing week with our friends at Angkor Hospital for Children.